John Christian Electrical Contractors Ltd is an NICEIC registered approved contractor with Trust Mark accreditation. 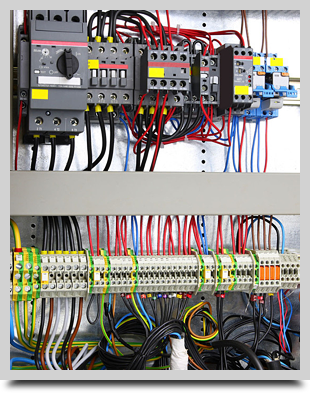 We are an established, second generation family firm, who have been successfully working in the electrical industry throughout the North West since 1973 with a large satisfied customer base. A large percentage of our work has been dedicated to new housing installations for national companies, such as Miller Homes, Fairclough Homes, Kensington Developments, Roland Homes, Pringle homes, Melrose construction, Eric Wright Group, Create Homes and Applethwaite. We have also worked with MAC Construction, Stretwood Builders, Rowland Bowdler Ltd, Tim Butler Builders and many more. We have worked very closely with Miller Homes and Fairclough Homes for over 40 years, to support them in achieving a higher standard of developments for which Miller Homes have been rewarded, not only by achieving more sales but most of all by several prestigious NHBC awards. Seventeen of these have been awarded since 2009 to developments where we were the electrical contractor with sole responsibility for the sites. As a company we also carry out all other aspects of electrical contracting and maintenance work in the private and commercial sectors. We always endeavour to give our customers the best honest advice at all times, to ensure that installations are carried out efficiently, on time and to budget. All our customer enquiries are dealt with by our experienced team, who will be more than happy to arrange a convenient time to visit you. Appointments can normally be arranged for that day and an estimate issued at that point or later that day. Following your installation you will be given up to 30 days from invoice to settle your account and then be given a full 2 year guarantee.